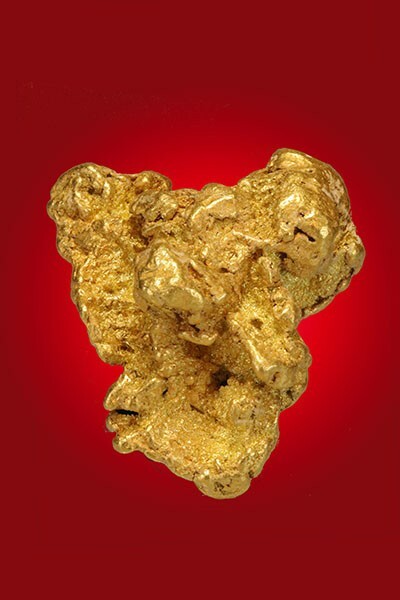 A very intricate and large gold nugget from the Eagle River near Anchorage, Alaska. 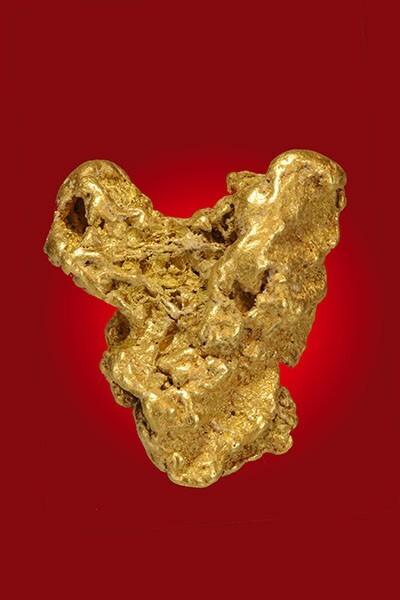 It has a clean and warm gold color and a substantial size with a very heavy texture and some intricate crevasses. 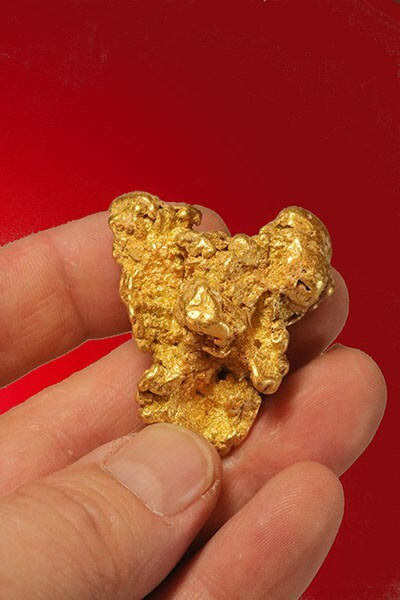 Gold nuggets of this size are rare and they don't come along too often. This one is priced to sell and would be a prize in any prestigious collection. 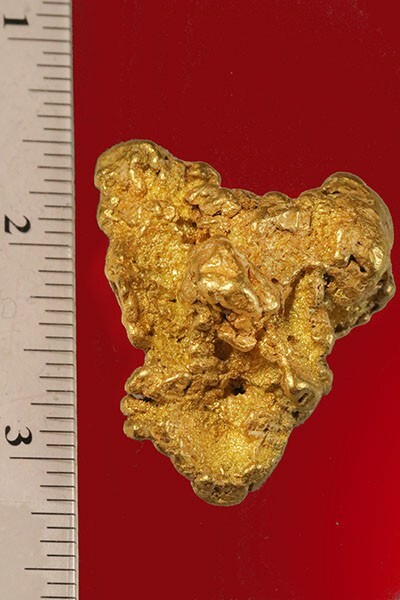 It weighs almost three troy ounces (2.82 troy ounces or 87.85 grams) and measures 1-5/8" by 1-3/8".